After announcing the EOS-R camera and RF lenses in Q4 of 2018, Canon is expected to follow up with an entry level EOS-R model and some less expensive zoom RF lenses this year. This is to increase the user base of the full frame mirrorless cameras and gain some economies of scale. Already, Canon is the best selling mirrorless camera brand in Japan and capturing a larger customer base in North America is the next goal. My readers know I am not a fan of the EOS-R camera in its current form. 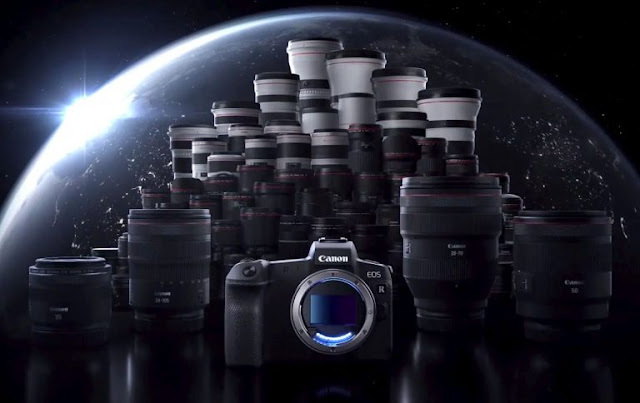 A major firmware release is expected the first quarter of 2019 in addition to a slew of new RF lenses. There is little to indicate what is included in the new software right now but suffice to say it cannot fix the major 'problems' like a single card slot, lack of a thumb wheel, around 3 fps burst rate in Servo AF with Dual Pixel RAW files, unimpressive battery life, etc. If and when Canon announce their EOS-1D full frame mirrorless camera, I will take another look at their offering.